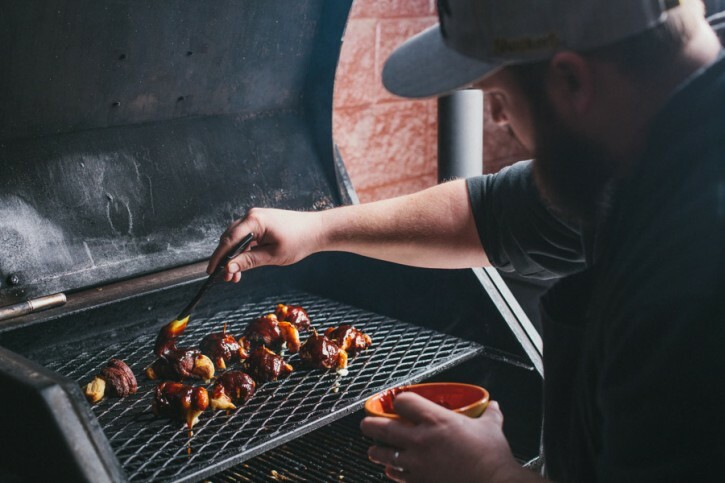 We may all be wrapping up football season, but that doesn’t mean we have to wrap up tailgate food! 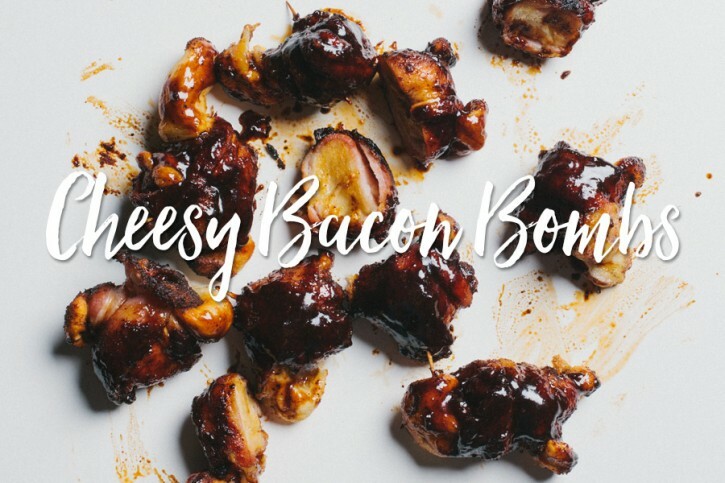 I love this recipe because a good deal of it can be done ahead of time and stored in the fridge until you’re ready to party! You may have seen something like this floating around the internet. 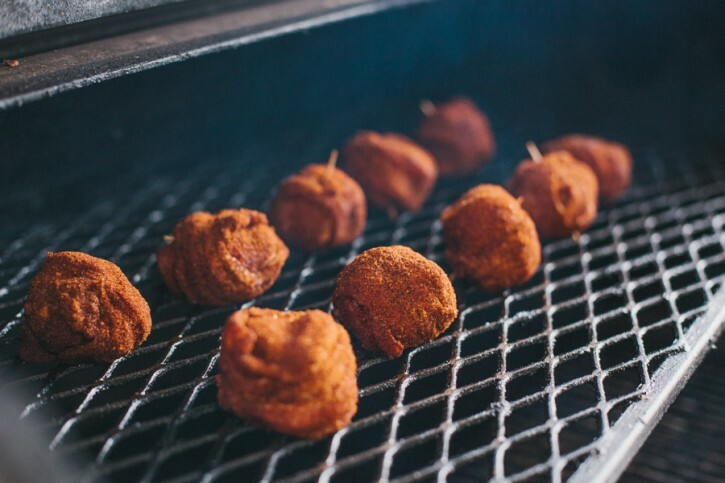 There have been some fried versions out there that have gone a bit viral, but you know that we had to give it a BBQ twist! 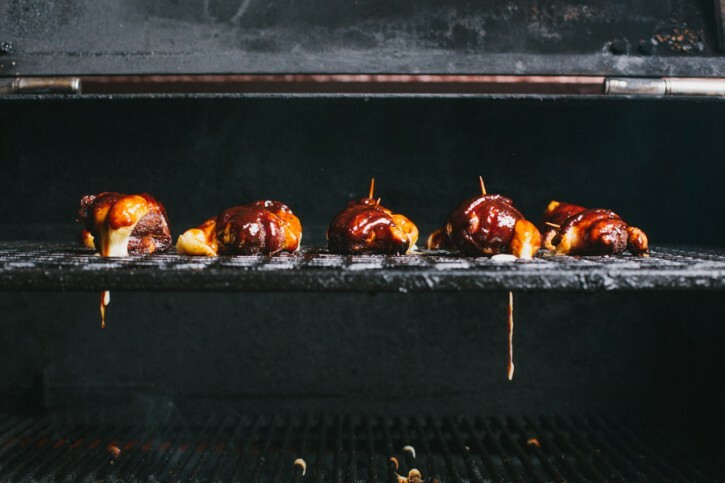 It’s the fire from a hot grill and the BBQ sauce glaze that set this one apart. If you’re a fan of The Sauce, we’ll bet you prefer the grilled version as well! Pepper jack cheese likes to ooze more than some others cheeses. If you want less mess, go for mozzarella. 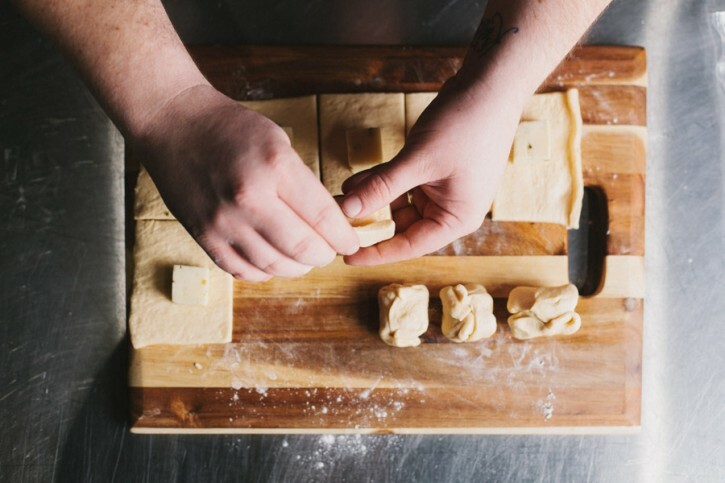 We’ve yet to exhaust the list of recipes that include croissant/crescent roll dough. I think they’re onto us, as they now have full, unperforated sheets that allow you a little more freedom and creativity. 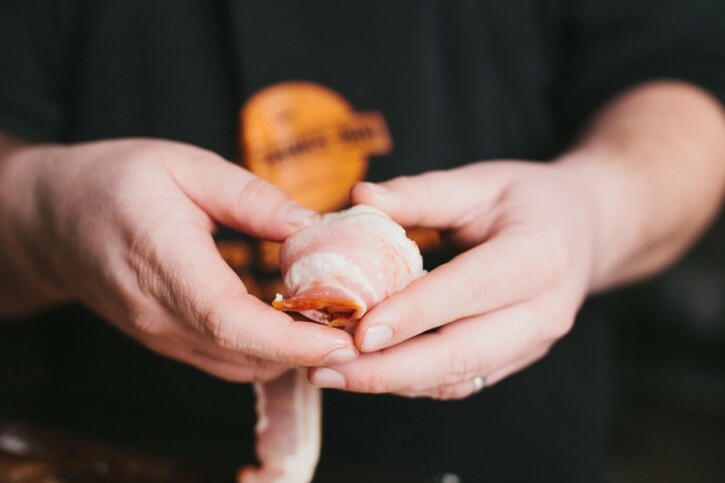 We’ll never stop looking for things to wrap bacon around. Never! Preheat your Yoder Smokers YS640 to 375ºF, set up for indirect grilling. Dice the cheese into 10 one inch cubes. Roll out the sheet of crescent dough. Cut the dough into 10 equal squares. 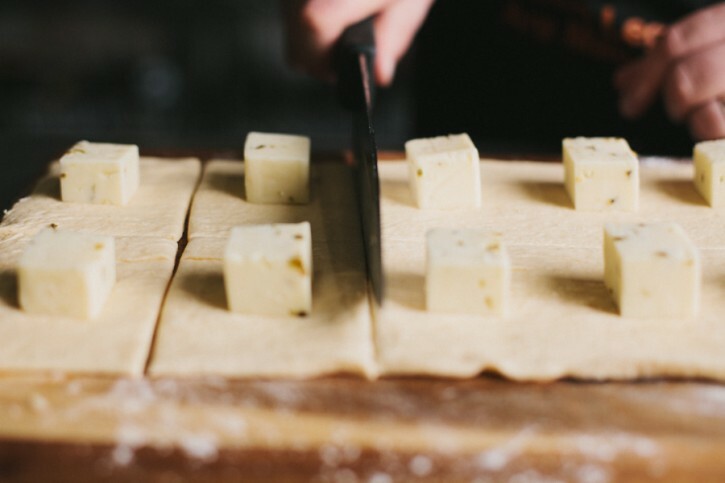 Place the cheese on the dough, then wrap the dough around the cheese and press to seal. Wrap one slice of bacon around the dough, doing your best to cover all surfaces. Secure with a toothpick. 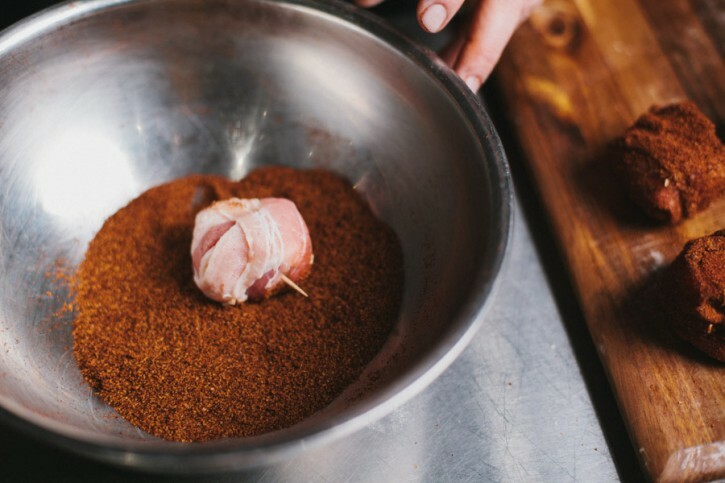 Place the Code 3 Spices 5-0 Rub in a bowl and toss each of the cheesy bacon bombs in the rub. Grill the cheesy bacon bombs until the bacon and dough are cooked through and the cheese begins to ooze out, about 20-30 minutes. Warm the House of Q Sugar & Spice BBQ Sauce and brush on each of the outsides. Cook another two minutes before removing from the cooker.